Marvel as you enter the fascinating hidden world of ugly animals in this encyclopaedia of the animal kingdom's most unusual and beauty-challenged species. With more than sixty ugly animals to explore, this compendium of the unusual celebrates the beauty in 'ugliness'. Children an... read full description below. Marvel as you enter the fascinating hidden world of ugly animals in this encyclopaedia of the animal kingdom's most unusual and beauty-challenged species. With more than sixty ugly animals to explore, this compendium of the unusual celebrates the beauty in 'ugliness'. Children and adults alike will pore over the breathtaking scientific illustrations of unusual animals, debating their relative ugliness and merits, learning about science and nature along the way. 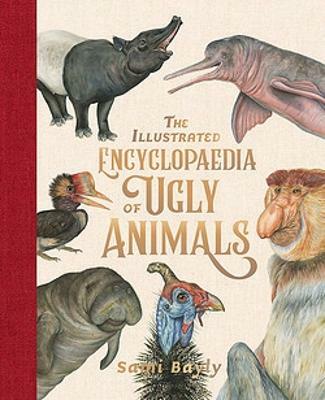 This book features illustrations and facts about over 60 animals including the naked mole rat, goblin shark, aye-aye, sphynx cat, blobfish and many more 'ugly' beauties. This gorgeous hardcover book is illustrated in beautiful scientific detail by exciting new Australian talent, Sami Bayly.